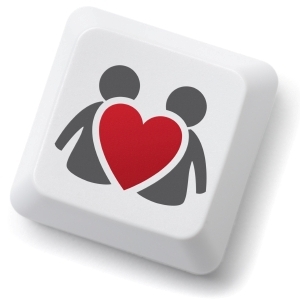 The increasing popularity of online dating – what’s behind it? Another study undertaken by The Pew Research Center Internet and American Life Project showed that about one tenth of the USA’s adult population have used either online dating websites or mobile applications at least once. Well, it is safe even to say that these days online dating websites aren’t just picking up steam of popularity – they have already become today’s mainstream, which was largely encouraged by the rapid development of social networks like everpresent Facebook, MySpace and others. It is now a part of our everyday life, spent on the Internet as well. We must admit that this recent rise of social networking as a phenomenon only made people more sportive – about one fourth of the responded Internet users told that they had flirted with someone through the Internet. As a comparison, this index was equal to only fifteen per cent, according to the survey held in 2005 by the Pew. So the websites created and launched intentionally for those purposes were doomed to become more than just “popular”. And there were some more factors, of course, which also contributed to the outspread of dating websites – as long as the majority of people realized that online dating can actually end up in having serious relationship and even marriage and that online dating isn’t the last hope for complete losers only, we faced the band wagon of it – as a natural result. As a matter of fact, there are enough prejudices against online dating even today. Some people (in fact, 21 per cent of the responded people) think that dating online, being a common thing, is for people who cannot find someone in real life and therefore try to look for a life partner in cyberspace, where they feel quite at home. Still, about 29 per cent of the people shared such an opinion in 2005. The sexual harassment is also likely to go online, it is one of the main objects subjected to criticism today, and not without reason – 17 per cent of men and 42 per cent of women told they had faced either uncomfortable or unpleasant online dating experience. By the way, one more difference between men and women, that was also noticed by the researchers of the Pew Center: the number of women, who had asked someone for help in fulfilling their online profile at a dating website and asked for various dating advice online turned out to be twice as big as the number of men.